【1月】【 裸女街霸牛仔裤 21OZ超重磅牛仔裤 LEE 101赤耳养牛】【219起】 - 蜗居shop商家区 - 蜗居shop - Powered by Discuz! 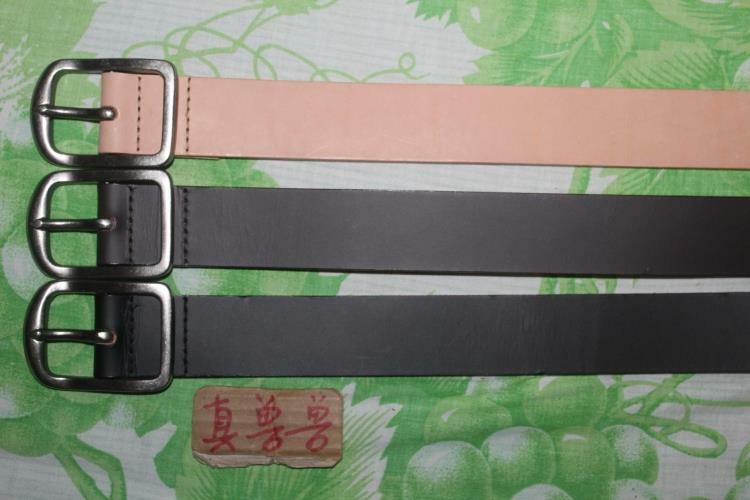 Chunky 1.5 inch wide belt made with super thick 7mm bovine leather. This oil-treated leather will age beautifully with wear like your raw denim. Heavy metal nickel-brushed buckle 3"x 2"
Natural leather that will darken and age beautifully. Oiled brown premium leather that will darken and age beautifully. Oiled Black premium leather that will darken and age beautifully. The jeans are made using a custom developed 12oz Japanese denim made using a blend of cotton and Chinese Silk to symbolize Chun Li’s Chinese roots. This denim has a neppy surface and also contains stretch for added comfort and mobility signifying Chun Li’s extraordinary flexibility. Chun Li’s wrist cuffs are embroidered on the back pocket. A natural vegetable tan leather patch is used, and features a highly detailed embossed illustration of Chun Li performing her trademark “Kikoken” projectile stamped in blue metallic foil. Hidden inside the jeans are fun details like blue pocket bags printed with Chun Li’s portrait. Also included is a holofoil pocket flasher featuring eye-catching artwork from Udon Comics. The jeans are made in Canada from denim that was woven in the Okayama prefecture of Japan. The yarns are dyed with indigo in a special process called rope dying. In this process, only the outermost layers of the cotton yarn absorb indigo dye, leaving the core of the yarn white. With prolonged wear, this unique fabric will gradually shed layers of indigo and slowly reveal a beautifully and uniquely faded pair of jeans. The jeans are made using a custom developed 12.5oz Japanese Selvedge denim with a greencast dye to symbolize Blanka’s green skin. This denim starts off dark indigo, but over time with wear and wash, the jeans will eventually fade and become greener. Blanka’s iconic electrocuted opponent is embroidered on the back pocket. The savage character’s wild orange hair is represented by an orange hair-on-hide leather patch, which features a highly detailed embossed illustration. This theme continues at the cuffs and coin pocket with orange colored selvedge edges. Hidden inside the jeans are fun details like orange pocket bags printed with Blanka’s portrait. Also included is a holofoil pocket flasher featuring eye-catching artwork from Udon Comics. The jeans are made in Canada from denim that was woven on old-fashioned shuttle looms in the Okayama prefecture of Japan. The yarns are dyed with indigo in a special process called rope dying. In this process, only the outermost layers of the cotton yarn absorb indigo dye, leaving the core of the yarn white. With prolonged wear, this unique fabric will gradually shed layers of indigo and slowly reveal a beautifully and uniquely faded pair of jeans. 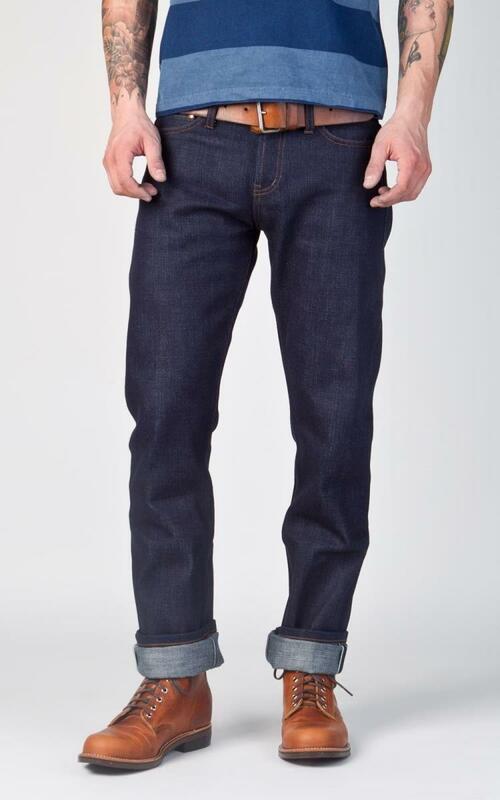 Unbranded's UB621 is a relaxed tapered fit jeans with tapered legs. The jeans is made from sanforized heavyweight 21oz Japanese rope-dyed indigo selvedge raw denim and features a button fly, hidden rivets, chain-stitched hem and leather patch. No branding, no washes, no embroidery, no ad campaigns and no celebrities. The Unbranded Brand is a crazy new concept in the world of premium apparel. While other companies compete based on image, expensive ad campaigns and celebrity endorsements, we have decided to do the opposite. Have you ever wondered why jeans cost what they do? Why do some “premium” jeans sell for $250 while others sell for $80? We think overpriced, over-marketed jeans are silly. That’s why we've stripped our jeans down to the core essentials: a great fit, solid construction and top quality selvedge denim. By eliminating all the unnecessary, we're able to sell a better product at a better price. The Unbranded Brand就是这样一个拥有世界上 疯狂 新颖概念钉尖牛仔品牌。当其他公司将竞争专注于图案、昂贵的广告宣传、名人代言时，我们决定做相反的事情。你有没有怀疑过，牛仔的成本都去哪儿呢？为什么有些“高端”牛仔售价250美元，而有些却只要80美元? Great for use on canvas shoes, hats, jackets, backpacks, & more! GMT+8, 2019-4-23 20:47 , Processed in 0.451336 second(s), 36 queries , Gzip On.